Being in an auto collision in the San Diego area can be scary. Here are a few tips to help you be prepared and take the necessary steps to get your vehicle back in tip top condition if you ever get into a car accident. It’s important to always carry your CA registration in your vehicle and have your CA driver’s license on you. CA law requires individuals involved in a car accident to exchange driver’s license and auto insurance information. It may be worth it to consider getting uninsured auto’s insurance (if you don’t already have the coverage) in case you get hit by an uninsured motorist. The accident also has to be reported to your insurance company and the DMV within 10 days if the damage is more than $750 or if anyone is injured during the accident. Try to identify witnesses to the accident. Make personal notes of the incident; drawing a diagram of the position of both cars before and after the accident can be helpful. This is information you can pass on to your insurance company or attorney if necessary. If your car is damaged you may want to bring it in to an auto collision repair center in San Diego such as Carlsbad Collision. Our technicians have years of experience working on cars and will work to restore your vehicle. 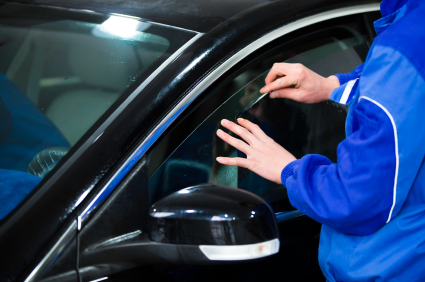 Contact us if you have any questions about our auto repair services in San Diego.